weight loss – Just Potent: The Best Supplements, Period! Also known as the Malabar tamarind fruit, Garcinia Cambogia is a fruit that originated from Southwestern India and is popularly farmed in most parts of Asia. 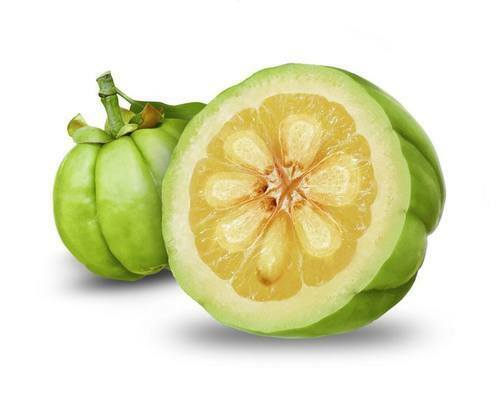 Although it appears to be round, stocky, and unassuming, garcinia cambogia as a supplement is made from the excretion of the plant which contains hydroxycitric acid. It has gained prominence and popularity over the past decade for it’s ability to aid weight loss through suppressing food cravings and promoting better sleep. It originates from a tropical fruit whose main ingredient hydroxycitric acid (HCA) does a wonderful job of blocking fat as well as suppressing hunger. Usually, when people take this supplement, what happens is that they get filled up easily, and therefore tend to eat smaller portions of food. Another amazing fact about this supplement is that it inhibits the chemical called citrate lyase, which is responsible for fat production in the human body after carbohydrates are eaten and digested. Why Should I Take Garcinia Cambogia? Unlike most supplements out there, Garcinia Cambogia is a supplement that has been confirmed by numerous medical personnel to work. If you are looking to maintain a healthy and wholesome lifestyle, then garcinia cambogia is perfect for you. The great thing about it is that it is very adaptable to the human experience and lifestyle. What this means is that if you are a freelance writer like I am, or a doctor, nurse, or actress always on the go, it is possible to make garcinia cambogia fit into your schedule and complement whatever lifestyle that you live. It is true that as humans, our lifestyles, clothes, emotions and even fridge contents change with times and seasons, and that’s okay, but what is even more excellent is the fact that Garcinia Cambogia adapts to shifting lifestyles and changes. Also, it is excellent for weight loss, and weight maintenance, but only if you follow the dosage prescriptions coupled with a healthy diet, regular exercise and sleep. IS Garcenia cambogia REALLY EFFECTIVE? One of the many questions that people tend to ask regarding Garcinia Cambogia is whether or not it is effective once it is taken, and research has proven that garcinia cambogia really does work if it is taken at the right time, with the correct dosage. According to WebMD, a review published in the Journal of Obesity found that people who took garcinia cambogia in studies lost about 2 pounds more than people who didn’t take it. Also according to WebMD, garcinia cambogia may make it easier for the human body to effectively use glucose, the sugar that human cells produce. According to WebMD, a recent study showed that mice that got garcinia cambogia had lower insulin levels than mice that didn’t. That, according to the scientific study is another reason, besides weight loss, that people with diabetes are interested in garcinia cambogia. On the hand, it is important to note that if you are diabetic and are taking garcinia cambogia along with any medication that is meant to control your blood sugar, your glucose levels could get dangerously low, which could lead to hypoglycemia. Low blood sugar or hypoglycemia is defined as a condition that occurs when the body’s blood sugar (glucose) decreases and is too low to sustain the body. Blood sugar levels that are below 70 mg/dL (3.9 mmol/L) are considered low. Garcinia Cambogia; while a good product, comes in different brands and styles depending on the manufacturer. Going to the pharmacy has never been more overwhelming than it is presently. It can be overwhelming to find the right product to buy simply because marketers and advertisers never make it easy to just pick one supplement. Sometimes, it can get so overwhelming that customers tend to forgo the entire process entirely. If this sounds like you, fear not because you have come to the right place. Just Potent’s garcinia cambogia contains one hundred percent all-natural ingredients that are scientifically guaranteed to help you on your weight loss journey. What is even more brilliant about Just Potent’s Garcinia Cambogia supplement is that it gives you a bigger bang for your buck. On average, most bottles of garcinia cambogia contain 90 capsules to 180 capsules and are prescribed in such a way that depletes the product faster, which tends to be more expensive in the long run. On the other hand, Just Potent’s Garcinia Cambogia contains a whopping two hundred (200) capsules and lasts for a hundred days. That is not a bad deal at all considering the $13.99 pricetag. Formerly $64.99, you can get this amazing supplement for much less since it is on sale for over forty percent off! Just Potent’s Garcinia Cambogia supplement contains about 200 capsules and contains about 1,000 mg per serving. A bottle of this supplement could last you a hundred days since the serving size prescribed is two capsules a day. This supplement also has powerful fat-burning and fat blocking tendencies and could hasten the efforts that you are making towards weight loss. This supplement is powerful, and Just Potent advises that people who consume it should not take more than the serving size recommended as this could cause several adverse effects and pose potential danger. For better results, it is best to take the supplement two times a day, thirty minutes before breakfast and thirty minutes before dinner. Also for safety reasons, women should not consume this product when they are pregnant as this could affect the growing child. This item should be stored in a cool and dry area away from children, and if for any reason you experience adverse effects during use, then it is advised that you discontinue use immediately. If you already under some form of medication, then it is important to consult your doctor abut adding garcinia cambogia to the mix. Author BFPosted on October 19, 2018 November 10, 2018 Categories Sleep Related, SupplementsTags does garcinia cambogia work, garcinia cambogia, garcinia cambogia supplement, how garcinia cambogia works, is garcenia cambogia effective, weight loss, what garcinia cambogia does, what is garcinia cambogia fruit, where to buy garcinia cambogia, why garcinia cambogia works, why should you take garcinia cambogia, why take garcinia cambogia, will garcinia cambogia make me lose weightLeave a comment on Why Garcinia Cambogia Works.